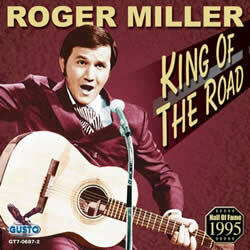 King Of The Road was written by songwriter and country singer, Roger Miller. 3. Third box-car mid-night train___ Des-ti-na-tion Ban-gor, Maine. King Of The Road Sheet Music at MusicaNeo.Com - Various Scores. ROGER MILLER chords and lyrics are property and copyright of their owners. "King Of The Road" chords and lyrics are provided for educational purposes and personal use only.